Once you’ve decided to remodel your outdated bathroom, it’s time to decide on what design to use. Taking advantage of the small space of your bathroom can be a challenge. The right design can elevate the functional space and make it a relaxing oasis to enjoy. Coastal and at the beach designs have been popular for some years in bathroom refinishing Washington DC. Light-colored wood cabinets complement light grey or blue paint. Get creative with the tile by using glass, riverbed rock stones or shells on the floor or walls. Capture the essence of Mexico and the southwest with a Hacienda-style décor. Copper sinks with an antique brass finish on light and faucet fixtures look beautiful. Travertine tiles and pale yellow or cream paint on the walls create an inviting space. Rich, warm hues can make a small space feel less cramped. Pair dark cabinets with creamy countertops, tub and shower tile. Paint an accent wall to match the warmth of the cabinets with other warm-colored lighter colors on the remaining walls. Capture the feeling of your favorite spa by making your small bathroom an inviting oasis. Cool white marble with deep espresso or black cabinets invites both the light and the warmth into the space. Using the same tiles on the shower walls as the floor in the bathroom can make the space look bigger than it is. Bring your love of the past into your bathroom with a modern twist. Oval mirrors, trumpet-shaped sconces and subway tile lend a retro look to your bathroom. 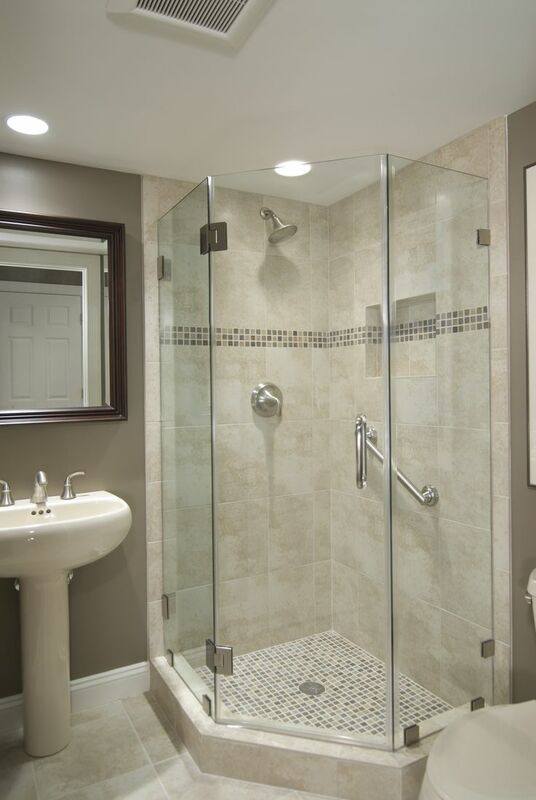 Make the space more inviting with a frameless shower door and simple colors. The end result of redoing your bathroom can make the space relaxing and functional. Make guests feel welcome with a space that isn’t cramped but inviting. Whatever your style, you can add a contemporary twist and make it work for your space.